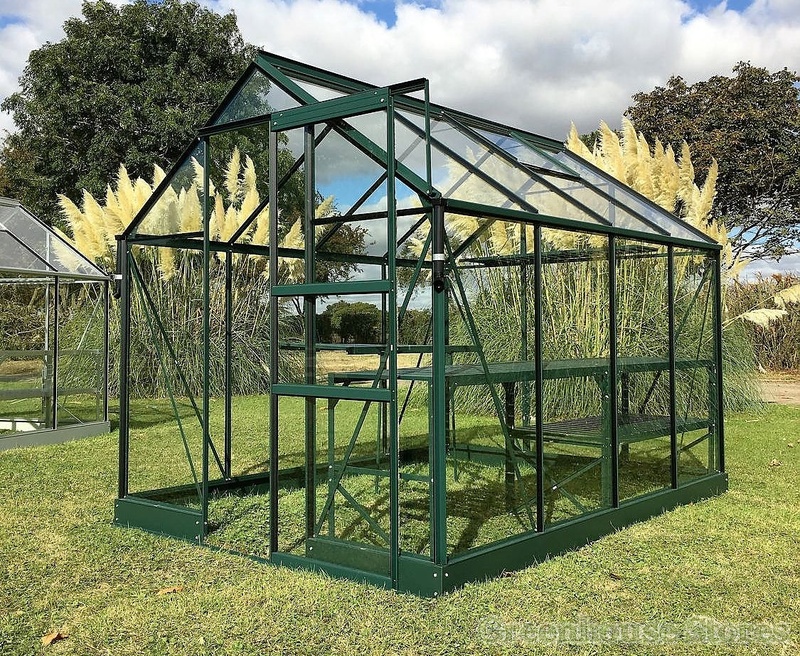 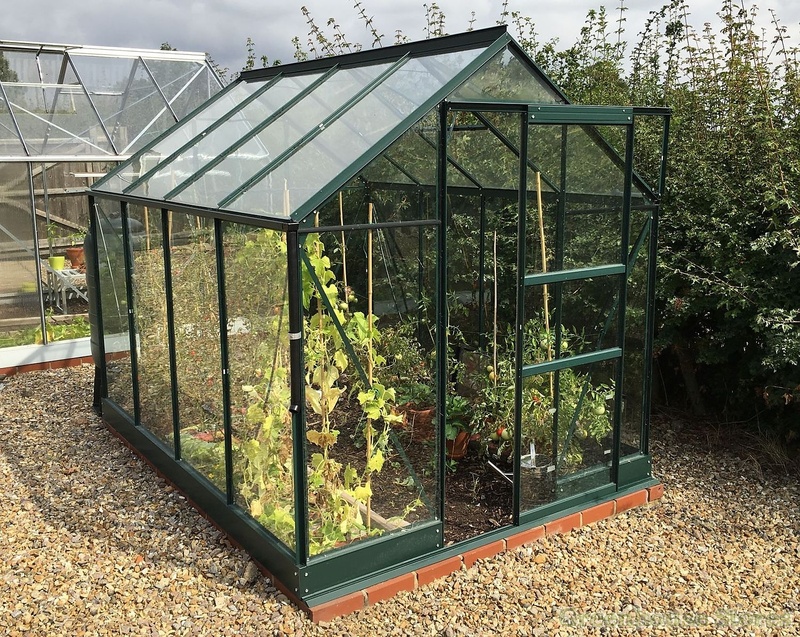 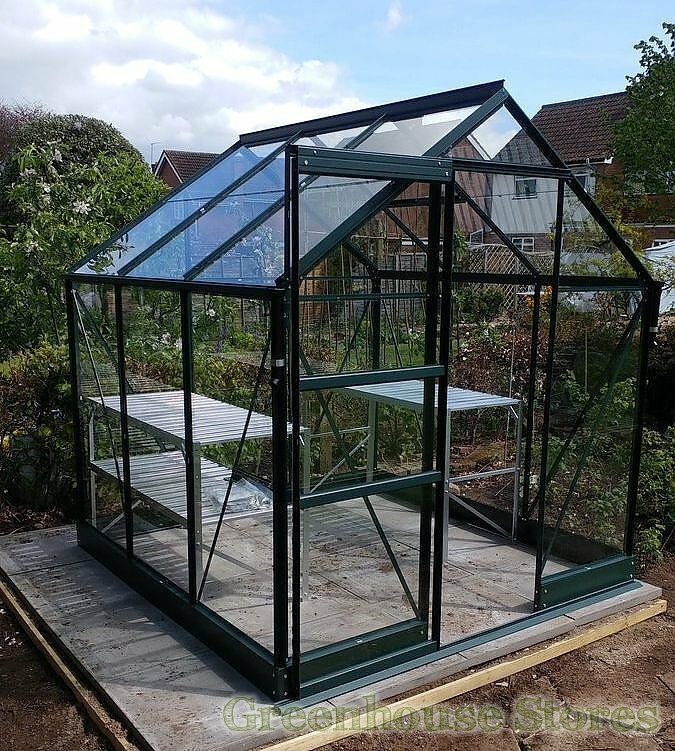 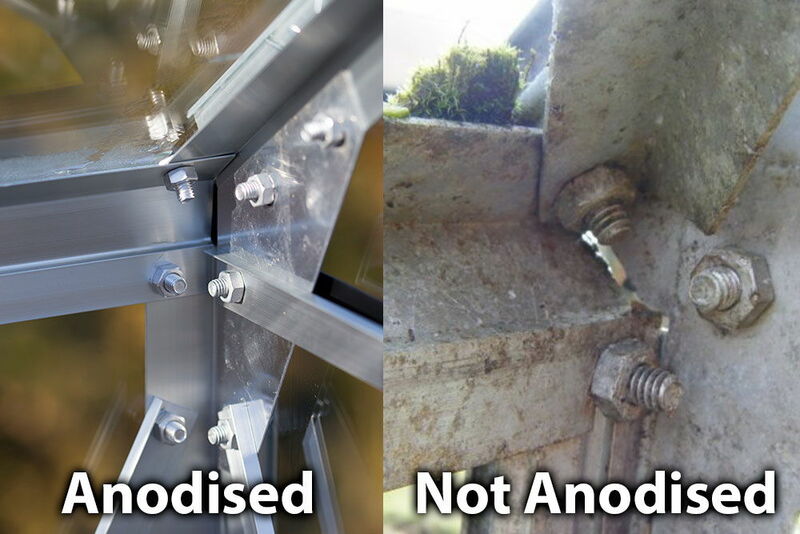 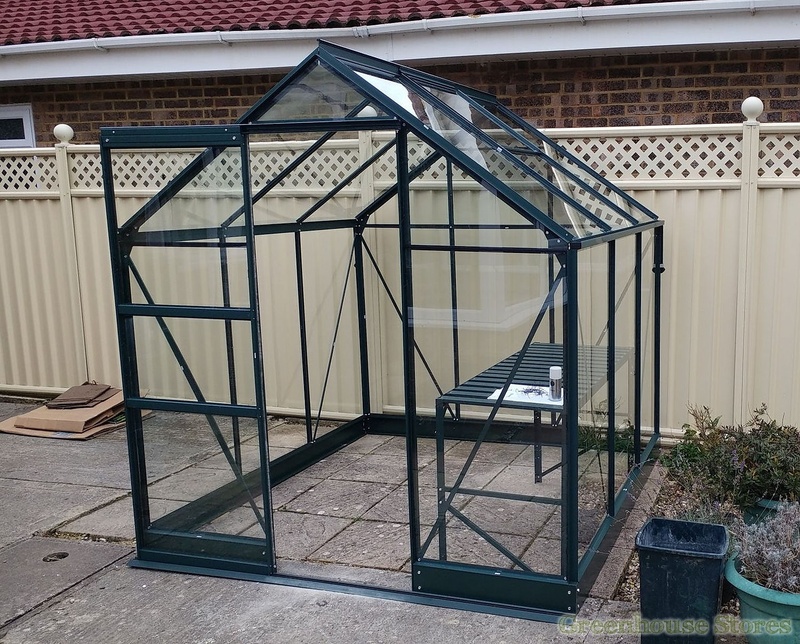 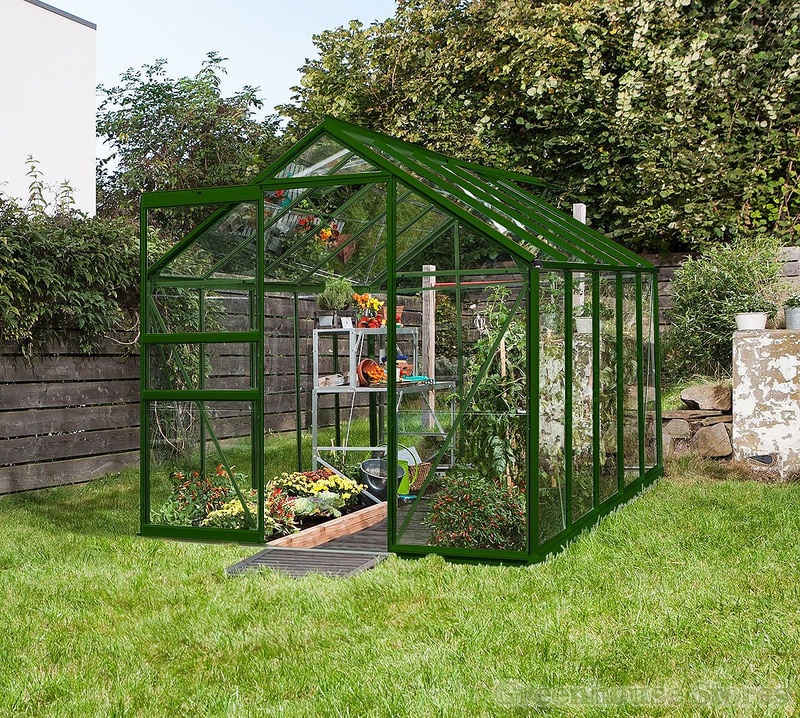 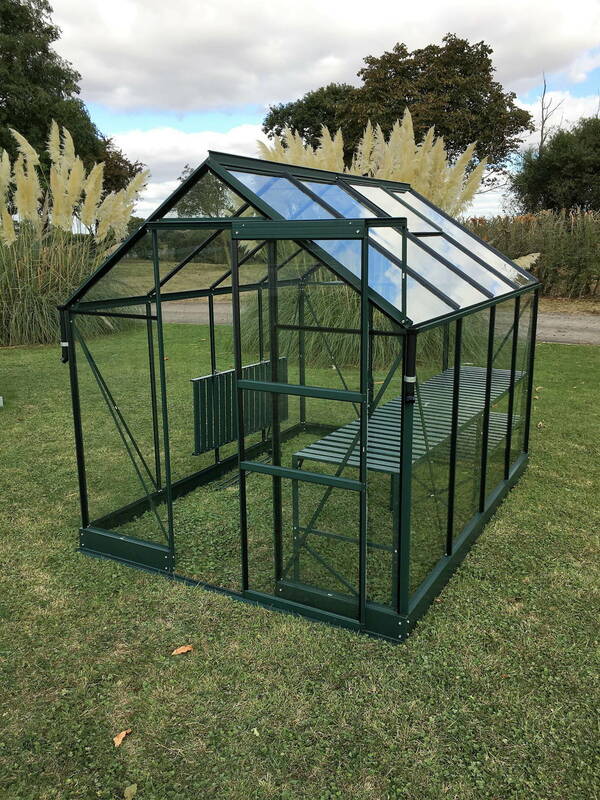 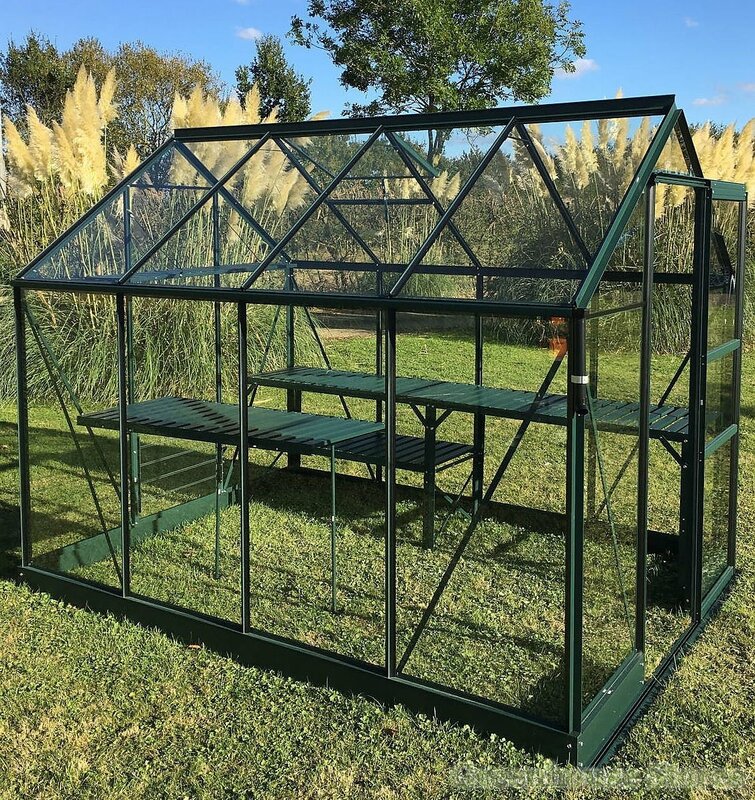 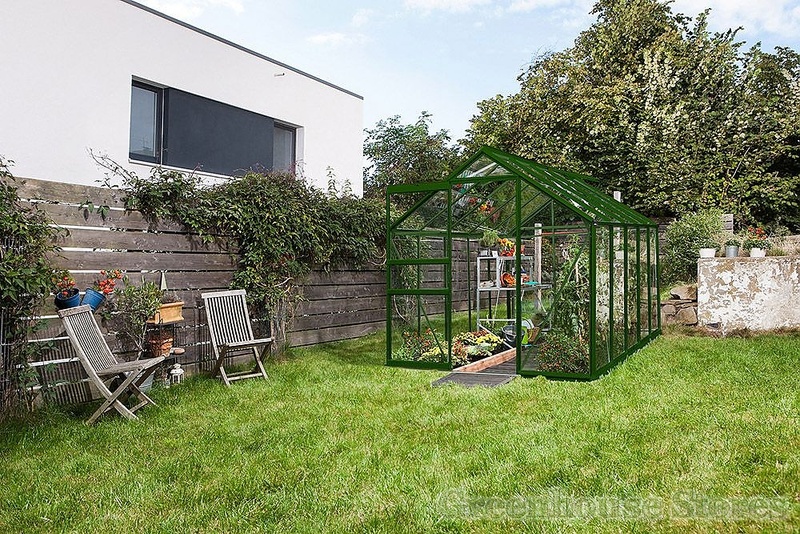 The Vitavia Apollo Green 8x6 Greenhouse with toughened glass is the most widely used size in UK gardens. 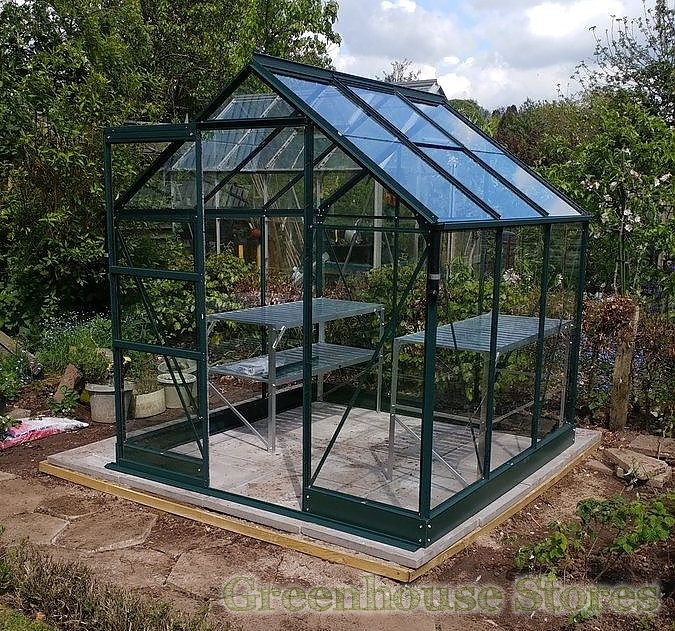 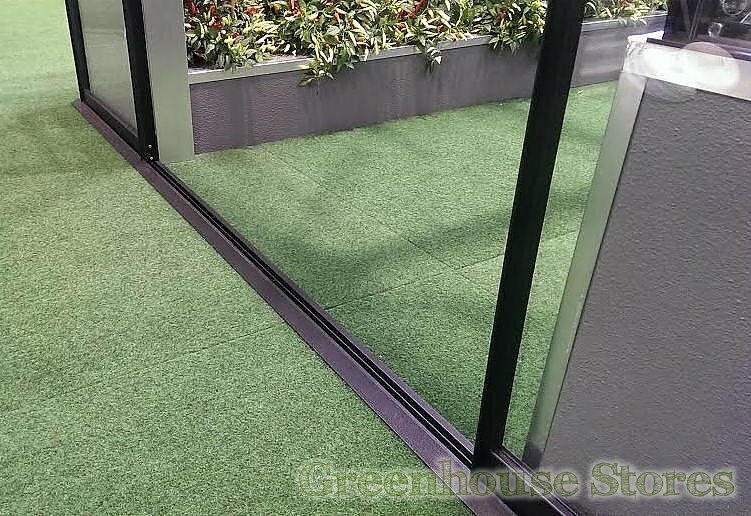 It’s practical and attractive as it’s green powder coated finish lets it blend into the garden surroundings effortlessly . 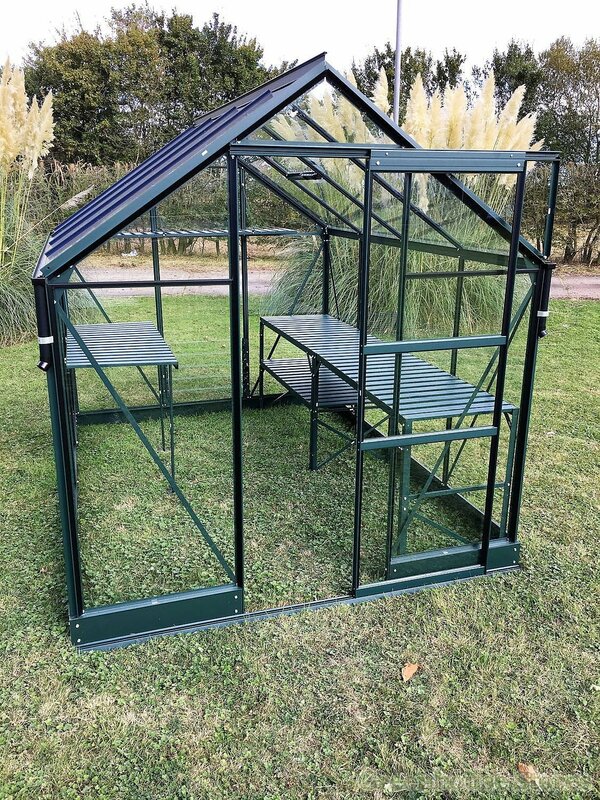 This green Apollo 5000 8ft x 6ft model has 1 opening roof vent for ventilation, a single sliding door that can be fitted to slide left or right and integral gutters.